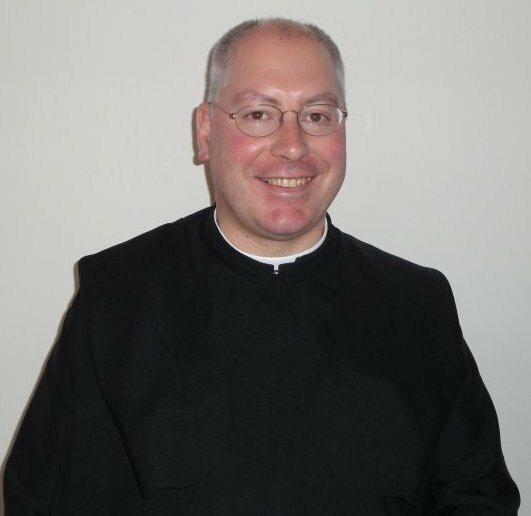 Our confrere, Fr Paul Gunter OSB, has just been appointed Secretary of the Department for Christian Life and Worship, which is part of the Catholic Bishops’ Conference of England and Wales. This will of necessity make him something of a jet-setting monk, since currently he teaches the Pontifical Liturgical Institute in Rome, where he is the Vice-President. In Rome he is also Consultor to the Office of Papal Liturgy, which gives advice and direction concerning the liturgies celebrated by the Pope. It should prove an interesting and fruitful appointment. Fr Paul is a proficient teacher of liturgy, faithful to the teaching and practices of the Church. His doctoral thesis was on the English liturgist, Edmund Bishop, famous for his paper The Genius of the Roman Rite, which is the origin for the oft-used “noble simplicity of the Roman Rite”. Yet he is no purely academic liturgist. Prior to going to Rome to study and subsequently to teach, he worked on our parishes for over a decade. In his last parish, where he was the Parish Priest, he was known for the quality of his liturgies, all the more remarkable for that parish having been a small rural one. So not only does he have a rich vision and knowledge of the Church’s liturgy; he also has practical parish experience and well knows what an ordinary small parish is actually capable of doing liturgically, both musically and ceremonially, with a little zealous input from its pastor. Dare we say, Fr Paul’s appointment augurs well for a renaissance for liturgy in England and Wales. With the new Missal in place, the timing is spot on. Ad multos annos! Below are links to some articles written by Fr Paul over the last couple of years. What he explains and advocates would not find contradiction on any page here. Thank you, Father, for this news. What an interesting appointment! Some year s ago, during Fr Paul’s time at St Gregory’s in Cheltenham, I sometimes attended his Latin Novus Ordo Mass on Sundays, which he sang with great dignity. His homilies certainly stretched the intellect, as well as being spiritually uplifting. It will be fascinating to see what emerges from the Department for Christian Life and Worship under his care. He can still stretch his listeners when preaching! Given that he has had 10 years of full-time liturgy study and teaching and has been a parish priest since his days in Cheltenham, you might find his style a little different in places. That said, he still celebrates with great care, faithful to the rite as it is set down, though without any hint of slavishness. No doubt he will take a period to get a feel for the lie of the land in Eccleston Square and beyond, but things are certainly looking up for English and Welsh liturgy! Ah, this is wonderful news! A great man and a great priest! Blessings on his head! He’ll need those blessings – there be much work to be done. Let us pray the good Father does not ‘go native’ when at Ecclestone Square! Respectful as I am of the dictum, “Never say never”, I am confident that Fr Paul will be his own man in Ecclestone Square. Since he will be working some of the time from Rome, the Tiber should balance the Thames.